I love everything that is kitschy, handmade, or otherwise! I work a boring full time job, but my part time job is at a craft store where I love brainstorming new ideas and seeing all the different things you can make! My recent hobbies have included sewing and quilting and I love all of the fun projects you can make with a sewing machine! The possibilities are endless! Favorite colors: pinks, blues, greens, yellows - really just about everything. I love floral patterns and 1930s. Want to send extras for hearts? I love buttons and threads and rick rack! Music is my happy place with my crafts, I have two degrees in music and love all kinds, but I'd have to say that folk and classical are my top favs. I'm a sucker for a romance novel but also really love mystery. I won't lie either, I read and own both the Twilight series and Harry Potter. If you have any Harry Potter fabric send it my way! You'll get hearts for sure! Anything romance or comedy. I love Disney movies too, I grew up on Beauty and the Beast, Little Mermaid, and movies like that. I love to watch cooking and baking shows. I also tend to get sucked in to certain reality shows. Not all, but some like Vanderpump, etc. All the crafts! I crochet, sew, paper crafts, you name it, I love it!! I make quilts, bags, pouches, computer sleeves, ATCs, scrap notebooks, etc. You name it, I've probably at least attempted it! Check out my Etsy! SDCraftyAly. I love dogs!! I'm allergic to cats, and I'm sensitive to dog fur but I LOVE dogs and couldn't live without my two! I have a 2 year old aussie/collie mix and a 9 year old pit/boxer mix and they are both wonderful and loving dogs! *Anything related to quilting. *Any baking items. *Anything Tim Holtz. *Double sided tape. *Coloring books. *Adult connect the dots. Comment: Very nice calligraphy style writing and extra sparkle AND BLING. Love the extra card, too-love the Cheshire Cat-thanks for sharing! Comment: Thanks for a great selection, plus the extras! I hope you are not under water like my relatives in Nebraska! Happy swapping! OH - a reminder - could you put the name of the swap and your swapper name on future swaps? Thanks! Comment: Thanks for the lovely ATCs! You did a wonderful job! Thanks so much for all the extras too! So much fun! Sure brightened up my mailbox. Comment: Thank you so much for all the Heart goodies, You sent too much though. But I love all you sent. Esp. the pens. Comment: Thank you for the Stickers. Comment: I was just going through swap ratings and saw that I neglected you. I am so sorry. Thank you for your holiday greetings. I hope you had a lovely holiday this year. Blessings for 2019! Comment: Thank you for the fun red and white treats! Comment: Thank you for the pretty card and the address labels and tags. Comment: This card is so pretty, thank you and Merry Christmas! Comment: Thank you for the lovely card. A huge thanks for the address labels. I can always use these!! I don't know who said it but it is good advice. Hope you are doing well. 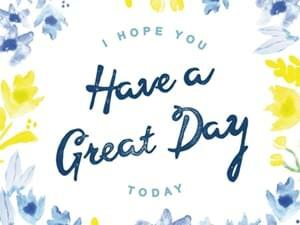 Just wanted to drop by and wish you a happy day! The weather today is really awful here. It's raining, the wind is blowing and it's freezing. There is a layer of ice on the roads, so its hard even to walk and you just don't want to leave your cozy, warm home. Perfect weather to sit in your favorite chair, under a blanket, with warm coffee in one and a good book - in the other hand.